Views! Views! Views! Spectacular unobstructed city, water & mountain views from this completely renovated corner unit in the best part of Fairview. No wasted space in living/dining room area with floor-to-ceiling windows & a beautiful gas fireplace. Bright, spacious bedrooms with lots of storage. Tasteful & extensive updates throughout. 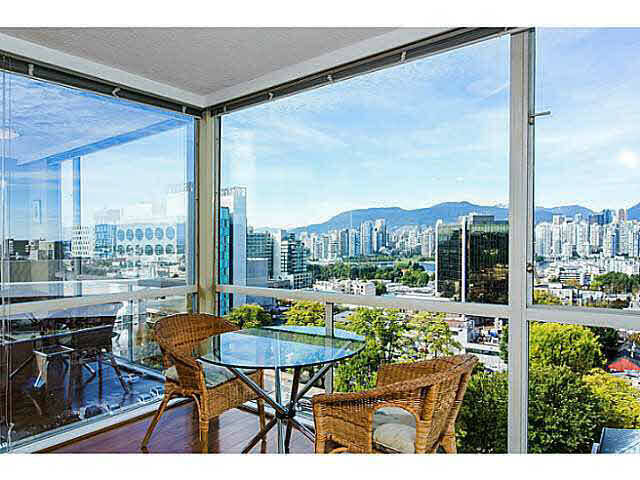 One block from Canada Line Skytrain Station & just steps from West Broadway, City Square and the vibrant Cambie Corridor, with shops, restaurants, bars & parks all around you! Private access to a pool/hot tub/sauna, guest suite & party room. Proactive strata partially replaced roof (2012) & upgraded plumbing (2013). TWO parking & a storage locker. Pets & rentals OK.